An extraordinary study of an Irishman who took up the post of High Commissioner of the League of Nations in the Free City of Danzig just as the Nazi party were seeking to seize complete control. Sean Lester’s role in frustrating these efforts is the primary focus of this book. Sean Lester, a Belfast Protestant and Irish Nationalist, became one of Ireland’s first truly international diplomats when he took up the post of High Commissioner of the League of Nations in the Free City of Danzig in 1936. 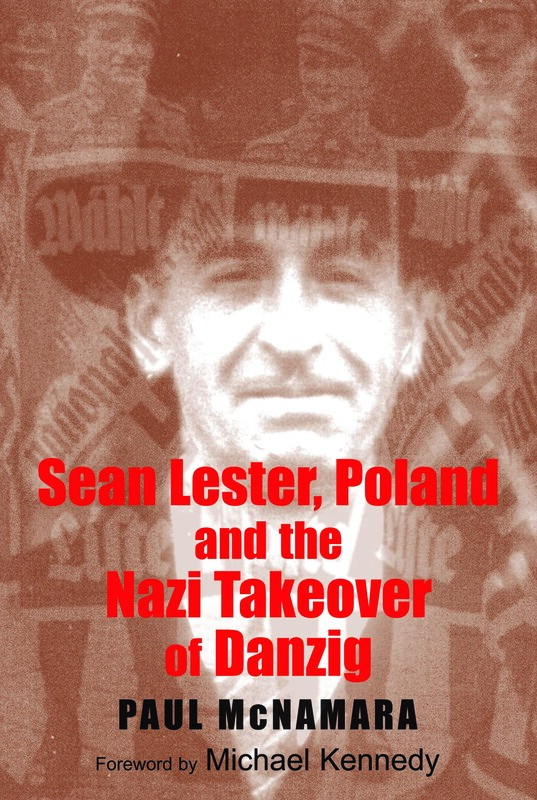 Finding himself in a cauldron of intrigue, Lester made strenuous efforts to frustrate the Danzig Nazi Party’s attempts to gain complete control of the city for the German Reich. By mid-1936, having become the only obstacle left in the way of Nazi conquest of Danzig, the Irishman soon became the focus of a very aggressive campaign by Hitler and the Nazi movement to have him forced out of the Free City. Extensively based on material regarding Lester from the Polish state archives, this book examines the circumstances surrounding the Irishman’s tenure in the Free City where he became one of the first western European diplomats to see the Nazi mask slip. Primary sources include the National Archives, London, the League of Nations Archives in Geneva, Sean Lester’s diary and papers and German foreign ministry archives. The failure of European governments to heed Lester’s warnings and to subsequently allow his ‘removal’ from Danzig turned out to be a missed opportunity to stop Hitler in his tracks three years before the outbreak of the Second World War. Paul McNamara has been a teacher of English Language at two secondary language schools in Lebork, Poland, since 2002. Previous to this, he taught at various language schools in Poland and Dublin. He has a BA in History and Archaeology (1994) and MLitt in History (2007), both from NUI Galway.